Pictures: Please browse the selection here. The pictures are courtesy of Speedway Plus. The pictures are courtesy of Speedway Plus. The track is a Charles Lawrence Decathlon facility and consists of a synthetic straight and a bend which is 200m in total length. 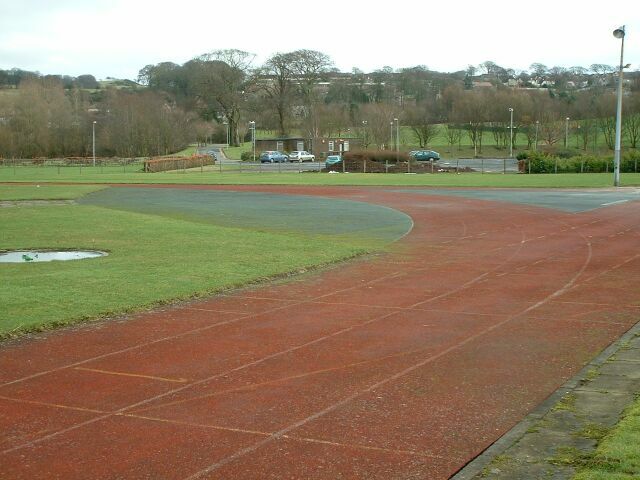 The remainder of the track is grass so it is possible to complete a 400m circuit half on synthetic, half on grass. Permanent facilities for all field events are also provided. There is also a big air tent which was originally air force surplus which houses a sprint straight. The Sports Centre is also referred to as Balbardie Sports Centre.